As part of our on-going improvements, we’ve fitted brand new antimicrobial flooring throughout our facility – watch this time-lapse video to see the transformation for yourself. The new flooring provides a more safe, sanitary and durable alternative to porous concrete flooring which can retain moisture and harmful microbes. The new antimicrobial flooring is the most effective material of its kind on the market today and will provide the Genesis Biosciences team and all our customers with maximum safety and sanitation. 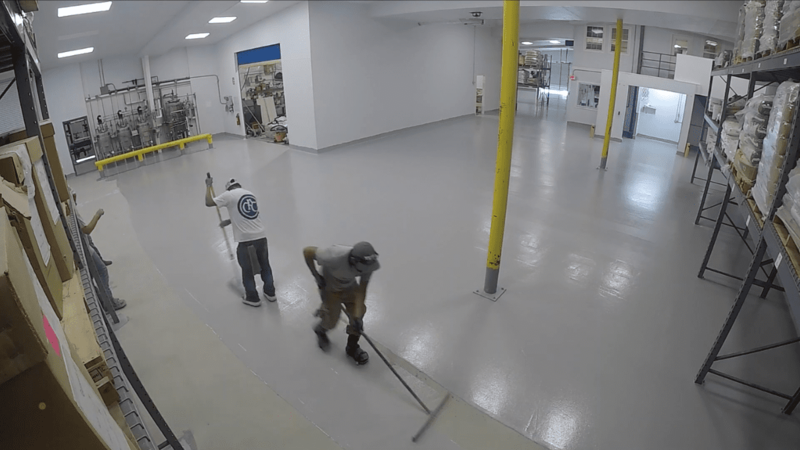 Installation of the new flooring took four days but the results are well worth the wait, as this upgrade will also bring us closer to our goal of cGMP, FSMA compliance and ISO22000 certification. The new antimicrobial flooring is part of our part of our ongoing commitment to invest even more in our facilities, company and staff. The improvements began last year with a lab expansion, the construction of a purpose-built enclosure for our outside fermentation equipment, and a full remodel of all walls and ceilings within the facility. To find out more about Genesis Biosciences, visit our About page.